With hard work and a positive attitude, Philomene becomes a successful and valued member of the farming family. In spite of Madam LeBlanc's poor attitude, Philomene is able to win the confidence of Monsieur LeBlanc and the children and helps him turn his hovel farm to a successful enterprise. Image LeBlanc farm. 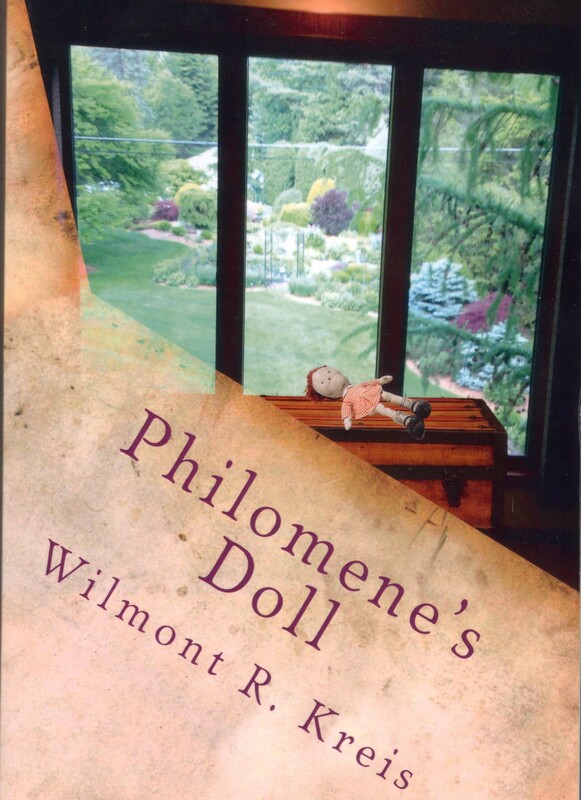 During the next five years, Philomene excels in school, church, farming, and work around the house. She looks forward to further education and a future with seemingly unlimited potential until on awful day when her new father figure, Abner dies suddenly and violently in a farming mishap. The LaForest world is turned inside out and Marie-Paul must take her children to live with relatives and Philomene is taken in by the sisters at the church to help her search for a new home. A late middle aged lady living in a classic Grosse-Pointe home on the shore of Lake Saint Clair, Kathy has been asked by her late father’s attorney to look for some documents. This leads her to a luxurious third-story room once used as a children’s’ bedroom but now as a private retreat for Kathy. She opens an old ornate chest now used to store various old mementos. She finds the records, but along with them she discovers a mysterious painting of her mother and an enormous diary from her French-Canadian Grandmother. Intrigued by the diary, she sets out on a long path to sharpen her French skills and read the story of her enigmatic grandmother who lived nearly 100 years. This will occupy her evenings for some time with an amazing tale of poverty and hardship leading ultimately to an amazing life.